Ulla said: An individual who owns a tree that is within sixteen cubits of a boundary is a robber, [since it draws nourishment from the neighbor’s land,] and one does not bring first fruits from it, [since that would be a mitzva that is fulfilled by means of a transgression]... But And do roots extend sixteen cubits and no more? Didn’t we learn in a Mishnah (25b): One must distance a tree twenty-five cubits from a cistern? [This indicates that tree roots reach more than sixteen cubits.] Abaye said: The roots extend farther, but they drain the earth of nutrients within sixteen cubits; with regard to an area any more distant than that, they do not drain the earth. USDA image from Chao. C, Krueger R. The Date Palm (Phoenix dactylifera L.): Overview of Biology, Uses, and Cultivation. Hort. Science 2007 42(5); 1077-1082. To whom shall we turn to get information about the size of that root system? The United Nations Food and Agriculture Organization, of course. 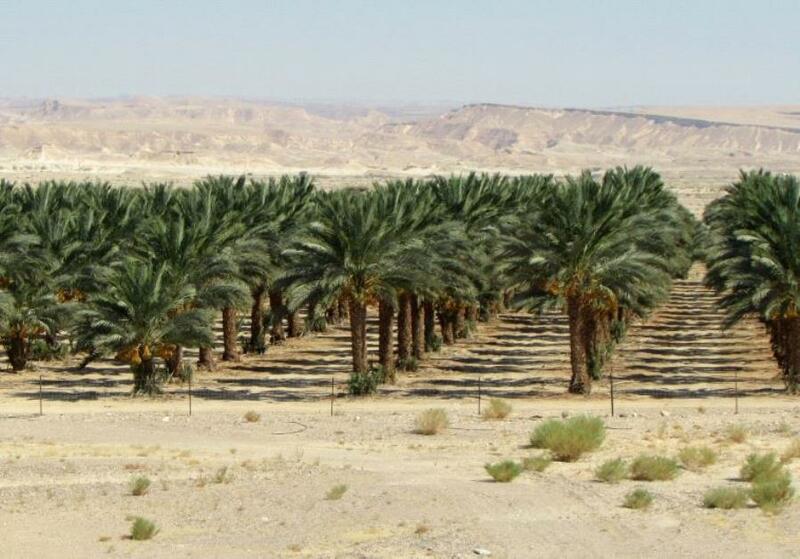 According to a helpful document by a member of their Date Production Support Programme, "Roots are found as far as 25m from the palm and deeper than 6m, but 85 percent of the roots are distributed in the zone of 2 m deep and 2m on both lateral sides in a deep loamy soil." But the 25m (82 foot) roots are an extreme. Most of the roots extend about 10m (about 32 feet). It would appear that Abaye was referring to the average reach of the zone II roots. Assuming that a talmudic amah is between 48-57cm, Abaye's figure would put the zone II distance of at 7.6-9.1 m. That's right in keeping with the 10m average figure from the UN document. Good to know that on these important matters, the UN and the Jewish People are in agreement.